I do hope that you are having a great weekend. I sure am having a busy one! Anyways, me and my boyfriend were to our local Whole Foods today looking at their selection of sustainably caught seafood. 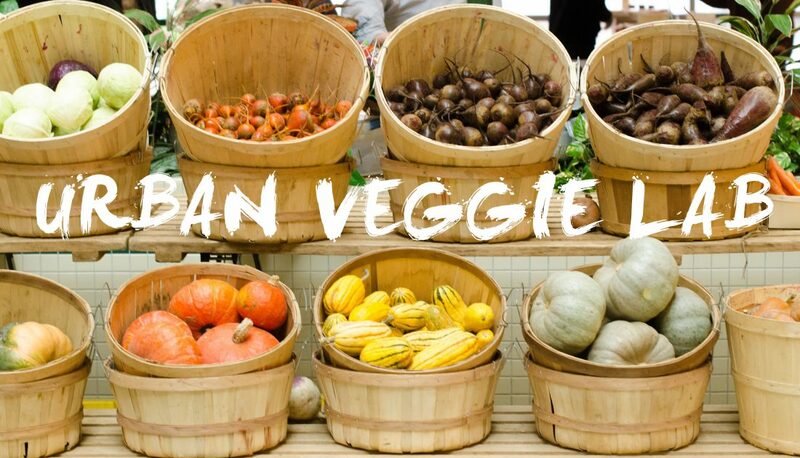 We do mainly eat veggies and legumes in our diet, but once or twice a week, we enjoy having meat and fish. The only caveat is that we only buy meat that is antibiotic free, organic, and if we can, locally sourced (to support small, independent farmers). In terms of fish, there is also an increasingly big issue relating to the overfishing of certain types of fish, as detailed in a documentary called Sushi: The Global Catch. In that regard, we try to buy sustainably caught seafood, and Whole Foods is a good source for fish caught in sustainable and ecological methods (as defined by the Marine Stewardship Council for certified sustainable seafood). 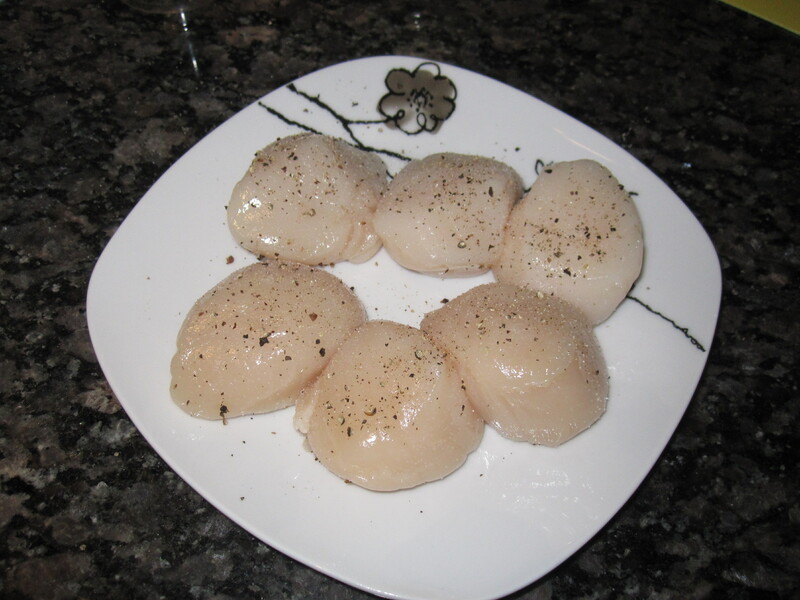 Today, we purchase some lovely sea scallops, caught in the US using a fishing line (and not a massive fishing net as used by the large commercial fishing industry). 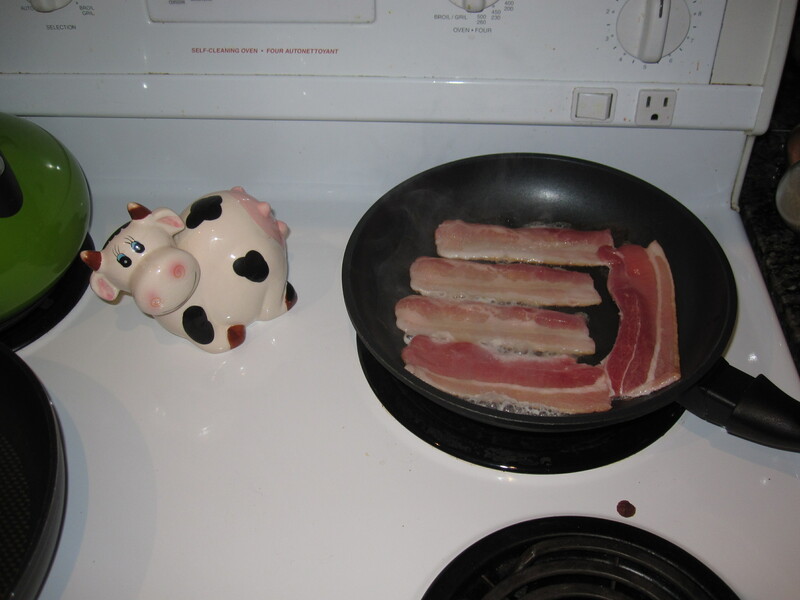 I wanted to make a light salad for dinner and my boyfriend wanted bacon, so we combine the two. This bacon is Beretta Bacon, antibiotic free, organic bacon from Yorkshire pigs, who have access to pasture in the summer months, and the young pigs don’t have their tails and teeth cut, as in more large scale production or factory farms. 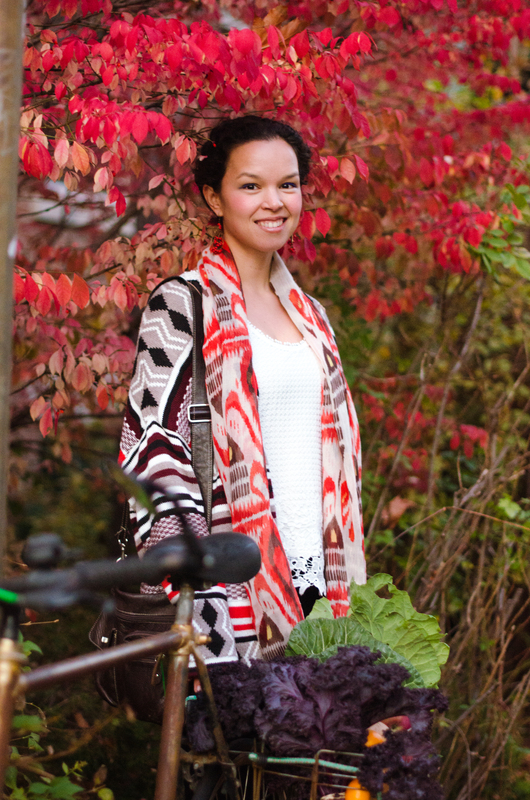 The farm is local, just north of Richmond Hill, Toronto in a farm located in King City. 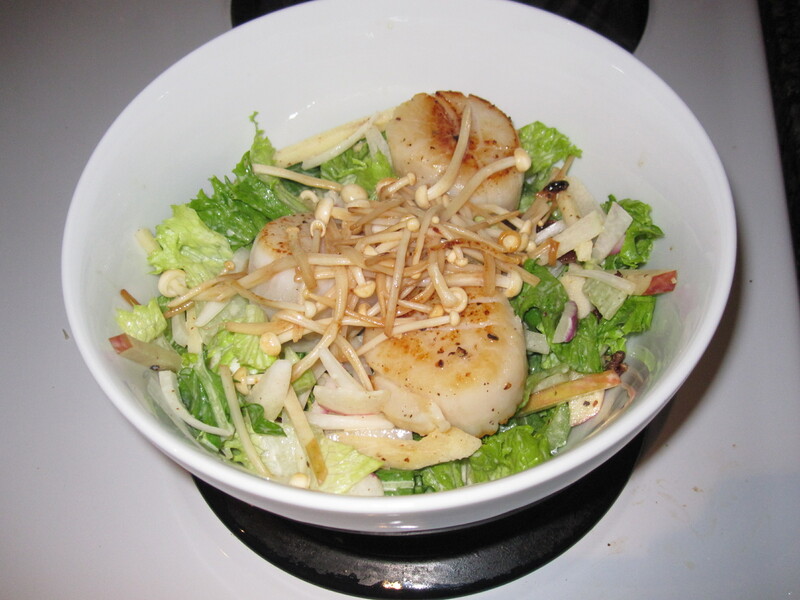 Here is the recipe we came up with: Caesar bacon and arugula salad with pan seared scallops. 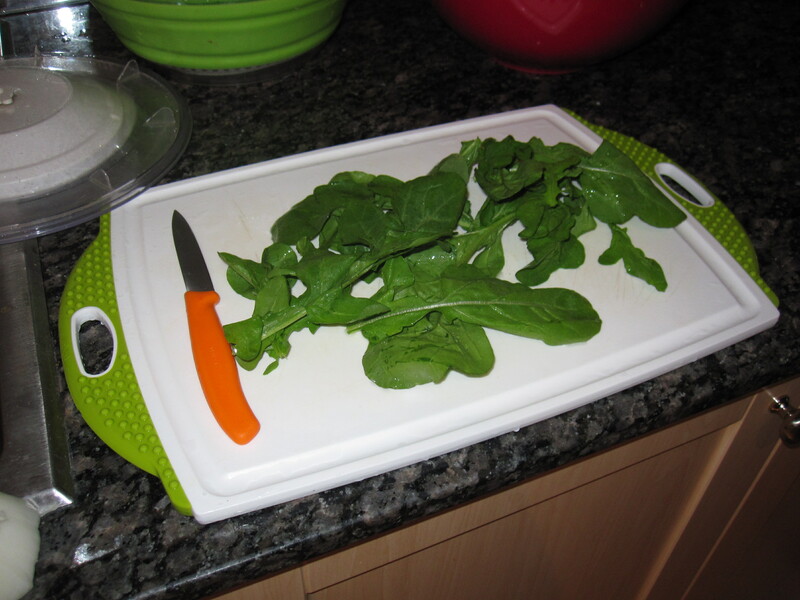 – In the meantime, wash and chop leaf lettuce and arugula. 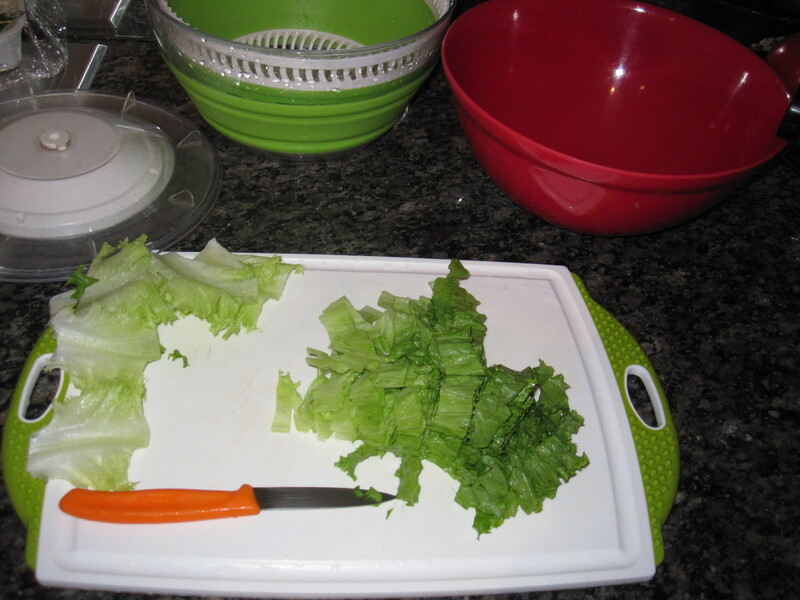 Toss with 2 tbsp of Renee’s Mighty Garlic Caesar Dressing or another Caesar dressing you may have. Chop up apple, celery, radish and white onion and add to salad. 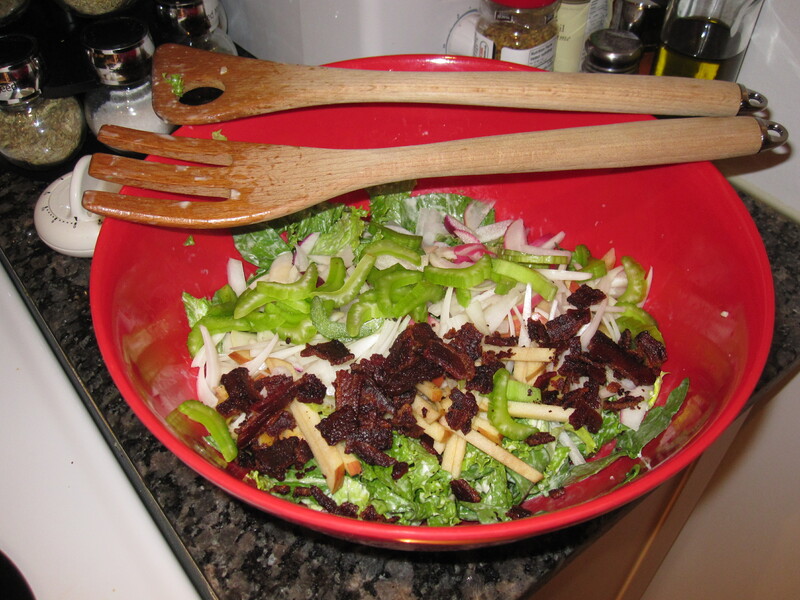 After crispy, remove any excess bacon oil with a paper towel and crumble on salad before tossing. Heat a frying pan to medium heat. 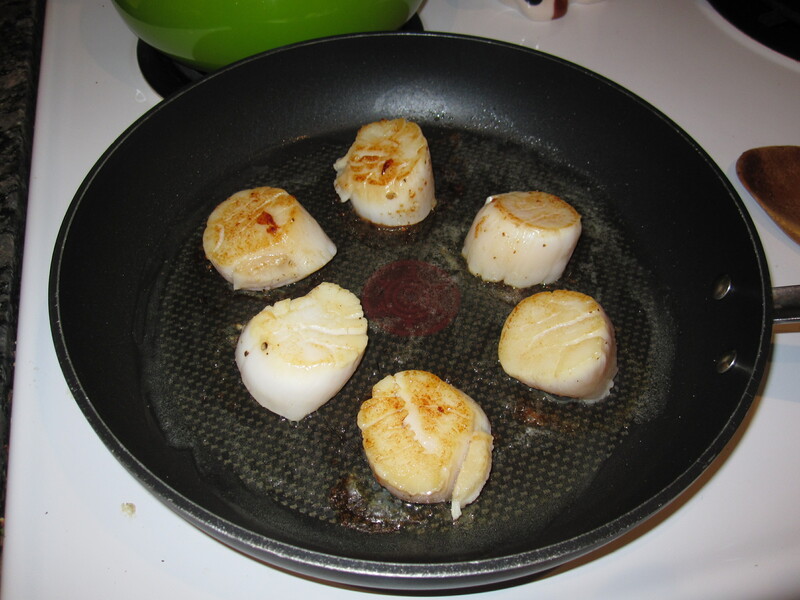 Add 1 tbsp butter and add scallops. Fry for 5 minutes turning once, and add on top of tossed salad. 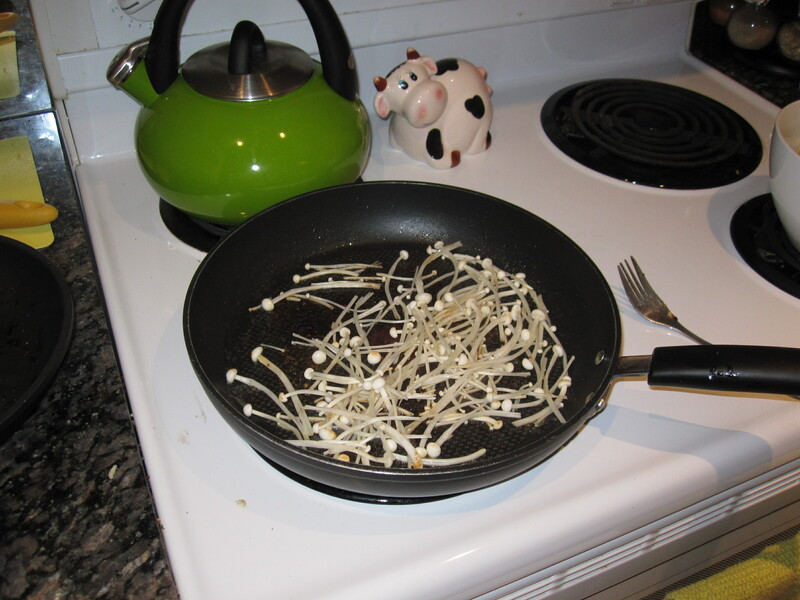 While the pan is still hot, add the enoki mushrooms and toss for one minute. Top salad with the mushrooms and serve.